Curated by urban artist Ryan Callanan, better known as RYCA, the Nu Blood exhibition sees four emerging contemporary artists coming together to demonstrate a vast range of skills. 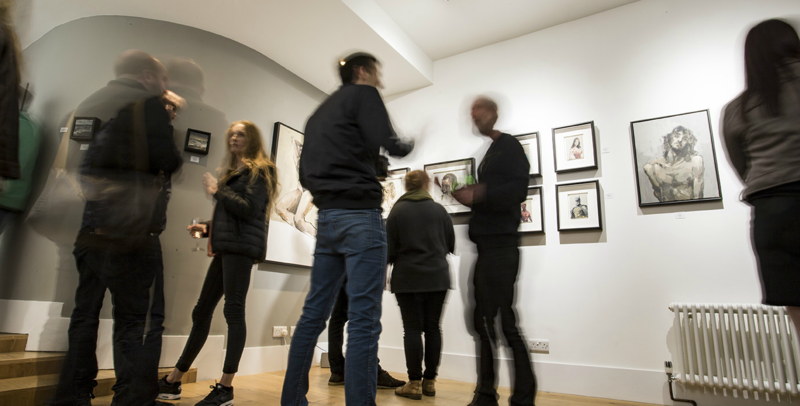 The exhibition was launched with a private viewing, which found art lovers exploring satirical sculpture, fine art photography, iconic oil portraits and bold improvised paintings. The night was a resounding success, and an exciting testament to the variety of up-and-coming talent on the contemporary art scene. At first glance, Euan’s paintings are simplistic renditions of everyday characters, picked out in vivid colours against a dark, textured background. These unplanned images are the artist’s natural responses to the unrefined nature of humanity. By distilling his thoughts directly onto canvas, Euan sheds light on a rich tapestry of day-to-day life that too often goes unremarked on. As a music and fashion photographer with work in magazines such as Vogue and on over 20 record covers, Chelone Wolf knows a thing or two about evoking emotion through photography. The series on display represents the fine art side to Chelone’s photographic talent, with a focus on the female form. From refracted light to scarification, these striking studies explore the beauty of disfiguration. Blurring the line between classic and contemporary painting, Stephen D Bunting's intensely-layered oil portraits bring pop culture icons to life, shedding light on the humanity behind the superhuman. 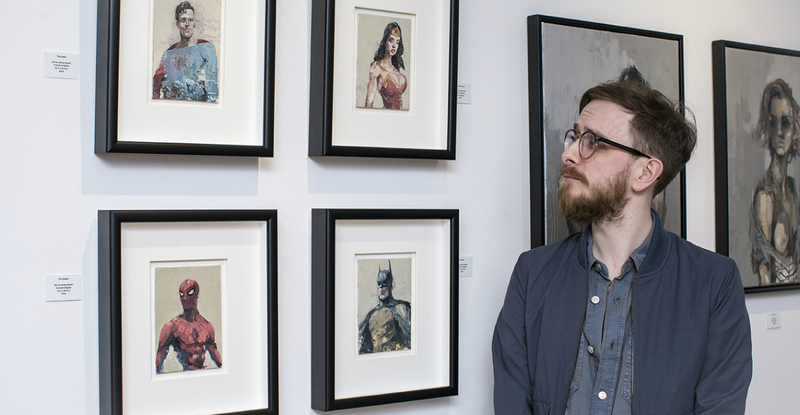 From deconstructed celebrities to superheroes at their most vulnerable, Stephen skillfully evokes emotion by blending graphic art with traditional technique. Drawing inspiration from his time working with Spitting Image, Richard has created props and models for outlets as diverse as theatre, TV, and St Paul’s Cathedral. 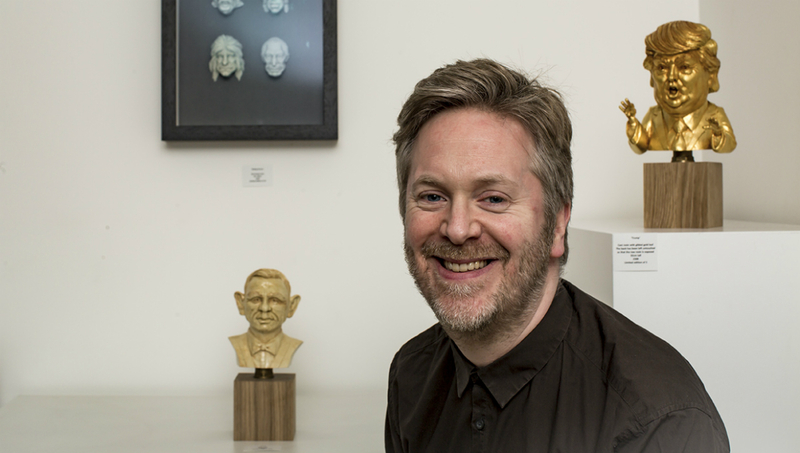 This ingenious sculptor is exhibiting his meticulously-studied caricatures for the first time at Nu Blood, offering a humorous take on some of pop culture’s most recognisable figures. While the digital world is instrumental in making new art accessible, galleries still have a vital role the way art is experienced. 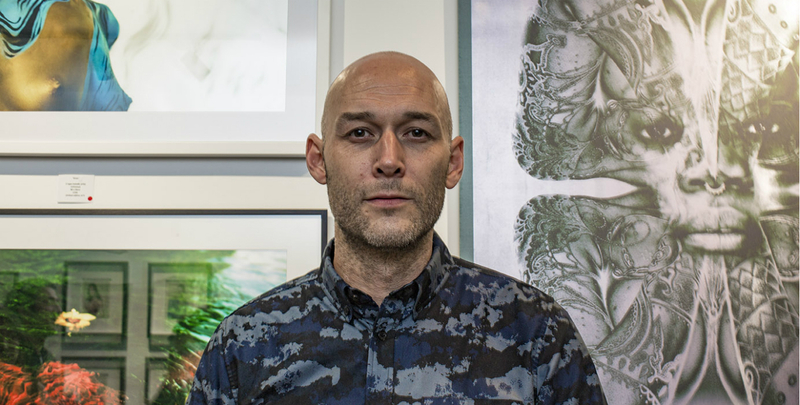 “Now everyone’s got Instagram and there are images everywhere - people don’t necessarily understand that the art they see takes time and investment,” mused Chelone at the private view. We’re proud to offer a chance to interact with new art up close and personal. 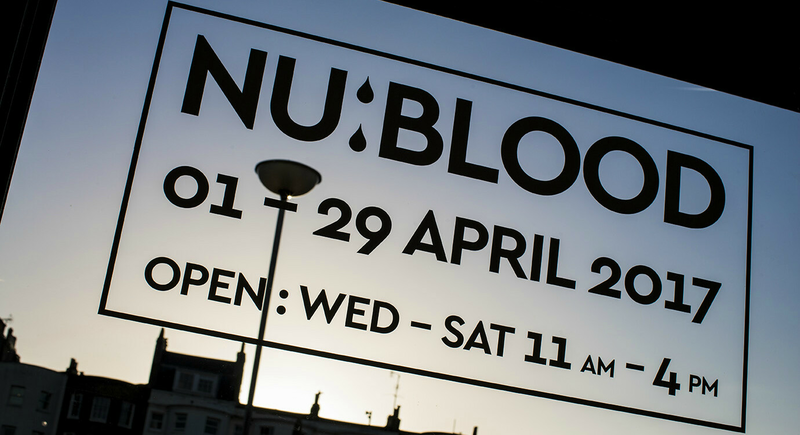 That’s why Nu Blood is the first in an annual series of exhibitions, kicking off new opportunities for collaboration with the art world’s most promising talent. This cutting-edge collection of contemporary art is available for public viewing on Wednesdays-Saturdays at 11am-4pm until the 29th of April. Visit us at the Bozboz Gallery, 30 Richmond Place, Brighton, BN2 9NA.